Have you ever seen QR codes? QR means Quick Response. It’s has a Japanese origin. Created by Toyota initially to track car parts during manufacturing. These days it’s getting more popular each day because of the mobile internet and the increase of maturity among mobile operating systems. Almost each mobile operating system has one or several QR Code scanners enabling the consumer to ‘mobile tag’. Their last update is from 18 April 2010. So I grabbed their 1.1.0.0 version and installed it. to my Bin directory of my Asp.Net C# project and referenced it. Please note that the DLL is quite large; it’s over 6 MB. The possibilities are endless now that you can generate QR codes. You can provide the marketing department of QR codes which they can embed on posters they spread on the streets enabling customers to scan and go to your specific offer landings page. This pointed me to the right direction, but how did you managed to add the DLL?! In my site keeps telling me "missing the assembly?" error, it's driving me nuts. @DaviD maybe this helps: msdn.microsoft.com/.../wkze6zky%28v=vs.80%29.aspx what IDE do you use? Thanks a lot this really helped me a lot! great example by the way! what standar iso use this library? Hi, if you are using the library on .net dont forguet sign the assembly before compile it!!!! Dim urlToEncode As String = ""
Dim QRImagePath As String = "E:\QRImages\"
Dim QRImageName As String = "qr.gif"
Thanks Tony for the VB code! Thanks man!! This is usefull... but i've found a problem... that library only accepts 122 characters... Do you have any idea of why is this happening? @mike, Its on the second link. You can customize it with photoshop or gimp. just try stuff with different layers and test it a lot with a decent scanner on your mobile phone. 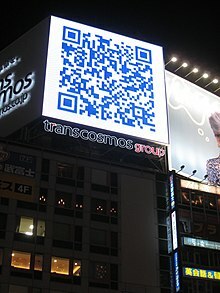 Can you please Show how to decode a qr code image? How do you control the options like size under c# as a .net sample? I've used the default ashx example fine, now I want to specify some options to be passed in. 3)If yes, please tell me the procedure to do that. Is there any support for eps or svg? QR Codes are meant to be printed in all sizes and this should be an option. i did everything u did till/and with ur first code example. The code doesnt show me any mistakes and i can generate my website, but where is the QR-Code? what do i have 2 do now so i can open the qr-code? The only downside is that it will cost you about a thousand dollars for a 2d barcode control. Don't you have a discount for the readers of this blog? I blog often and I truly thank you for your content. This great article has really peaked my interest. I will take a note of your blog and keep checking for new details about once a week. I subscribed to your Feed as well. This is a very nice library. Thanks for the tutorial. But could you please tell me how I can define the dimensions of the qr code image being generated?